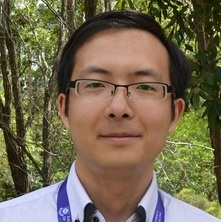 Dr Yangtao Huang is Postdoctoral Research Fellow at Institute for Social Science Research, The University of Queensland. His background is Social Statistics and Sociology. His research is on social and economic inequality and mobility, social networks and subjective wellbeing, education and disadvantage. Huang, Yangtao, Perales, Francisco and Western, Mark (2018). The long arm of parental advantage: socio-economic background and parental wealth transfers over adult children’s life courses. LCC Working Paper Series 2018-05, Institute for Social Science Research, The University of Queensland. Other Outputs: Intergenerational economic mobility in contemporary Australia: is Australia still the land of the “fair go”? Huang, Y., Perales, F. and Western, M. (2017). Towards Togetherness: Change in Financial Organisation within Couples with Transitions towards Marriage and Parenthood. In: The Annual Conference of The Australian Sociological Association, Melbourne, Australia, (). 28 November - 1 December 2017. Huang, Y., Perales, F. and Western, M. (2016). A Land of the “Fair Go”? The Dynamics of Intergenerational Earnings Elasticity in Australia. In: ISA RC28 (Social Stratification and Mobility), Summer Meeting 2016, Singapore, (). 26-28 May 2016. Huang, Y., Perales, F. and Western, M. (2016). On whose Account? Financial Democracy within Heterosexual Couples in Australia. In: National Longitudinal Data Conference, Canberra, Australia, (). 25-27 October 2016. Huang, Y., Perales, F. and Western, M. (2016). On whose Account? Financial Democracy within Heterosexual Couples in Australia. In: ISA RC28 (Social Stratification and Mobility), Summer Meeting 2016, Bern, Switzerland, (). 29-31 August 2016. Intergenerational economic mobility in contemporary Australia: is Australia still the land of the “fair go”? Huang, Yangtao, Perales, Francisco and Western, Mark (2016). On whose account? A longitudinal study of financial arrangements within heterosexual couples. LCC Working Paper Series 2016-30, Institute for Social Science Research, The University of Queensland. Intergenerational earnings elasticity revisited: how does Australia fare in income mobility? Huang, Yangtao, Perales, Francisco and Western, Mark (2015). Intergenerational earnings elasticity revisited: how does Australia fare in income mobility?. LCC Working Paper Series 2015-14, Institute for Social Science Research, The University of Queensland.